Part of my bucket list while we are in Poland (and other parts of Europe) is to see as many churches and cathedrals as I can. They are so beautiful – and each one is different and they are a real testament to the faith of the people who lived here centuries ago. 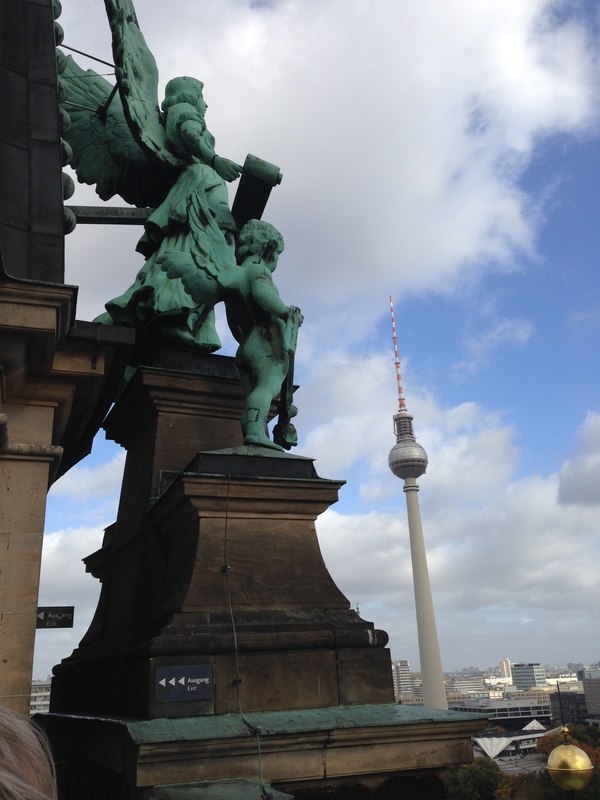 When we saw this building on our wandering jaunt to get to the Berlin Tower it seemed like the perfect place to visit. 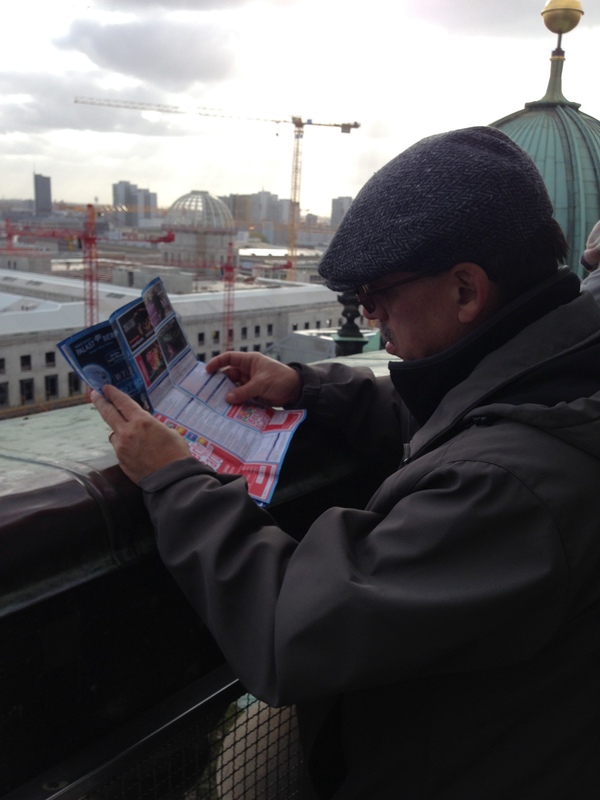 (Ok, really, we just wanted to see if we could get up to the walkway as the views would be amazing.) We didn’t realize it was a Cathedral until we got around to the front and read the sign. 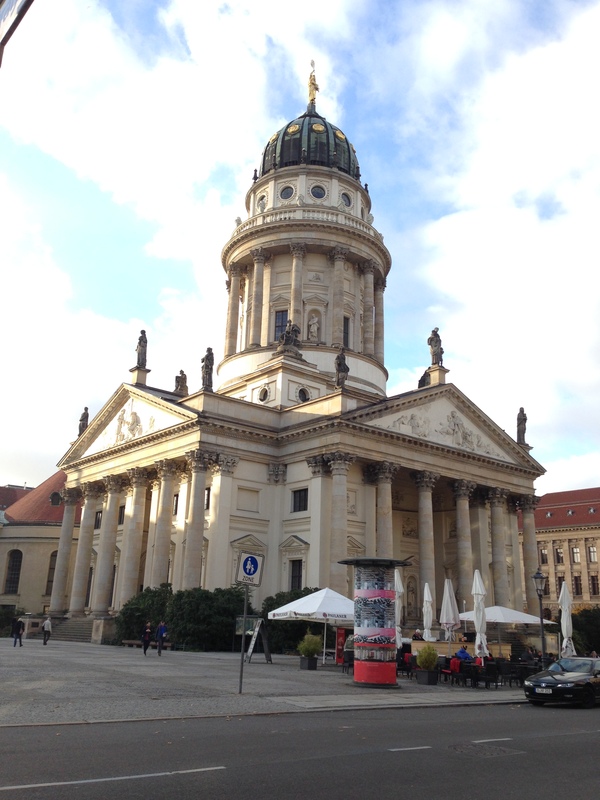 Completed in 1905, it’s the largest Protestant Church in Berlin and was patterned after St. Peter’s Basilica in Rome. Although technically, it’s not a Cathedral as it’s not the seat for the Bishop (which is what designates a church as a cathedral). 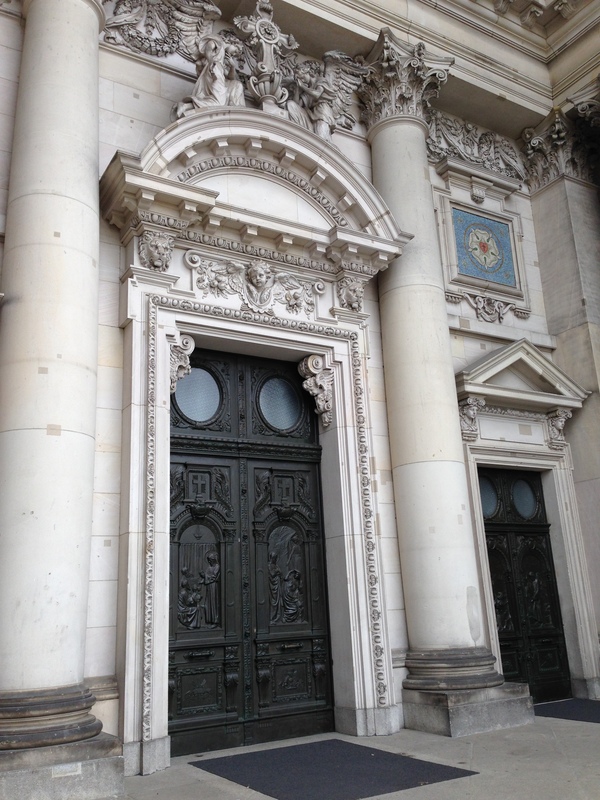 As with most other buildings in Berlin, it too was heavily damaged during World War II, and was closed and not reopened until restoration work was completed in 1993. The major plus was that although it wasn’t free, (Price for Adult is 7 Euros), it was easy to buy a ticket at the machine (although they do have a ticket office inside) and then just walk through the door with no waiting in line. You don’t enter the huge doors above…but this is the view when you get inside. These are just a few of the 7,269 pipes (yes, over seven thousand!) 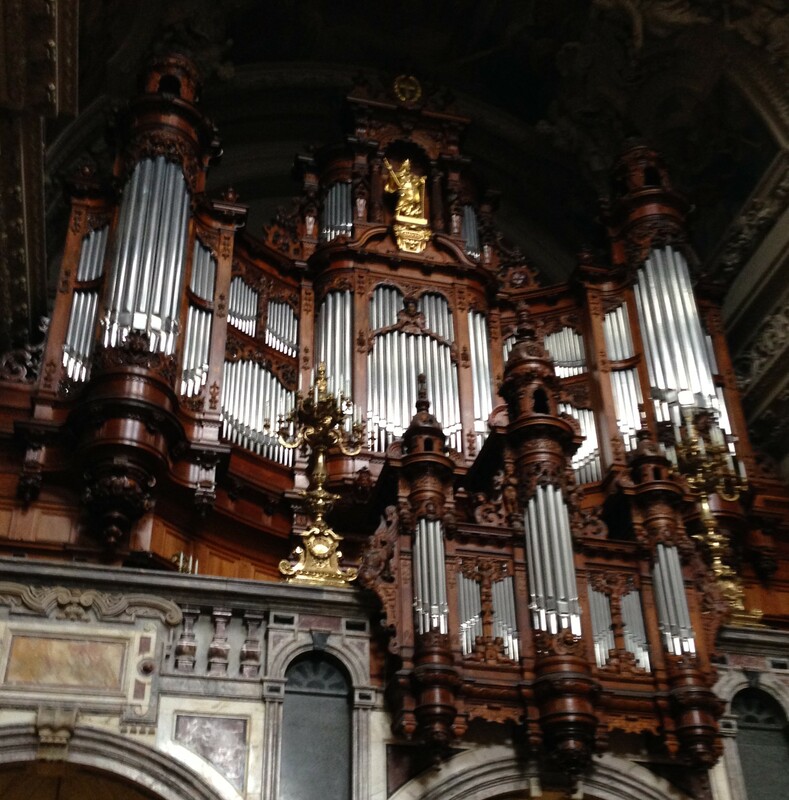 for the organ. Wouldn’t it be glorious to hear it played? 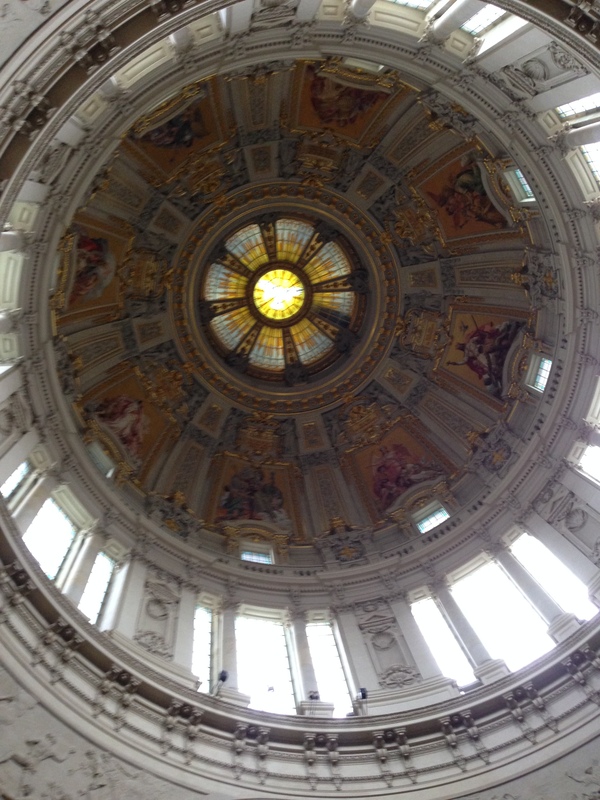 Looking up from the center of the sanctuary, this is the inside of the dome. Excuse the fuzzy pictures…I realize that I need a better camera to get a closer view but the dome is about 322 feet high…and this is the best zoom I could get. Below is the altar area. You can tell how massive this place is by the size of the teeny-tiny people on the left in the photo. 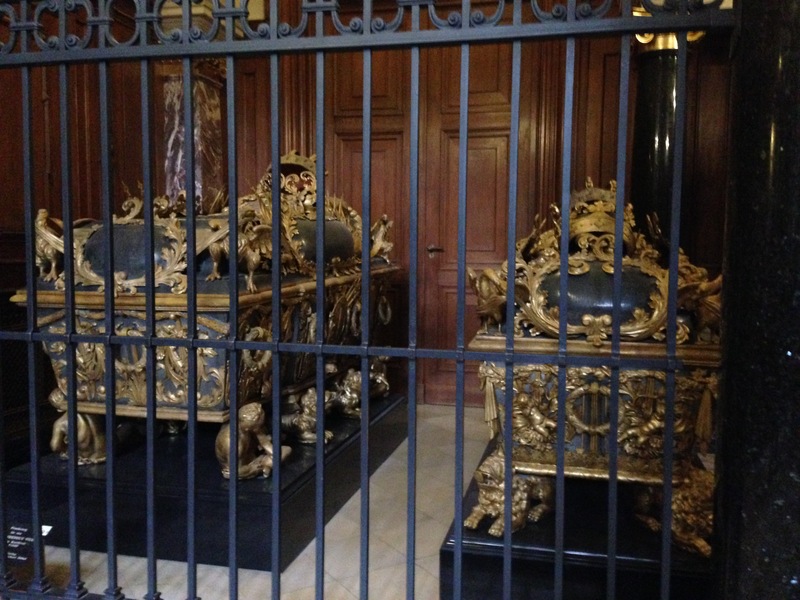 Off to the side are several ornate crypts – or for those who want to be fancy “royal sarcophagi”. The best part is what you see after walking up 267 steps to get to the outside walkway which goes all the way around the base of the dome. There is no elevator to get you there, so for those who get tired, about halfway up there is a small museum that shows some of the fancy scrollwork that has been restored as well as a brief history and displays about the renovation work. 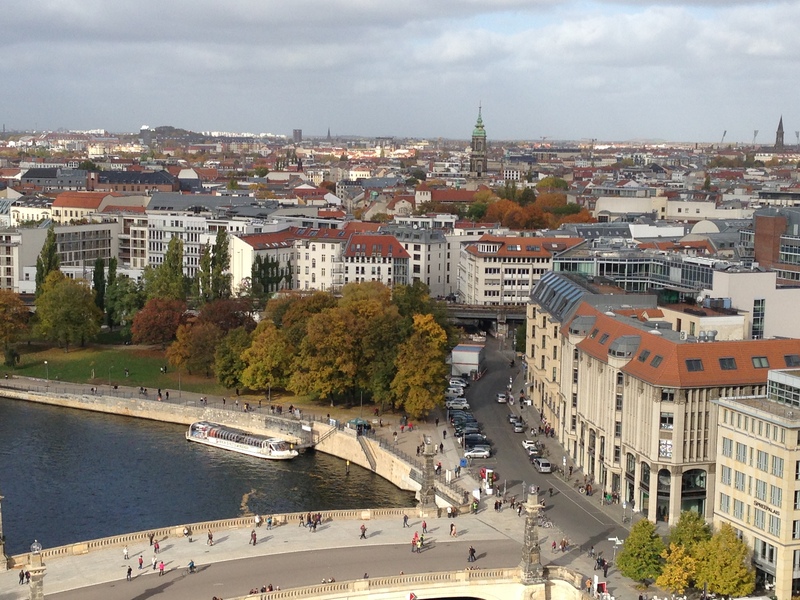 Finishing the climb, and stepping out onto the narrow walkway, you are greeted by these fantastic views of Berlin. 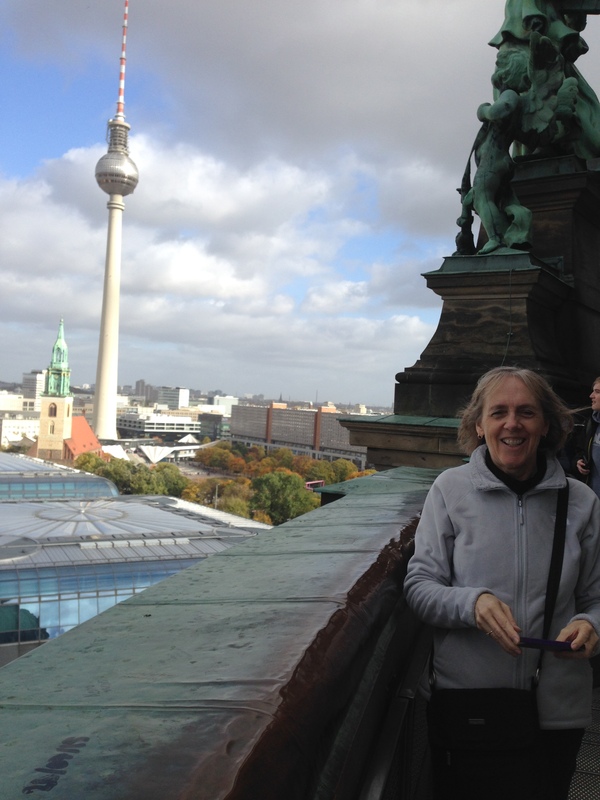 This is my sister Jan with the Berlin Tower in the background. The big building with the green roof is the National Gallery. 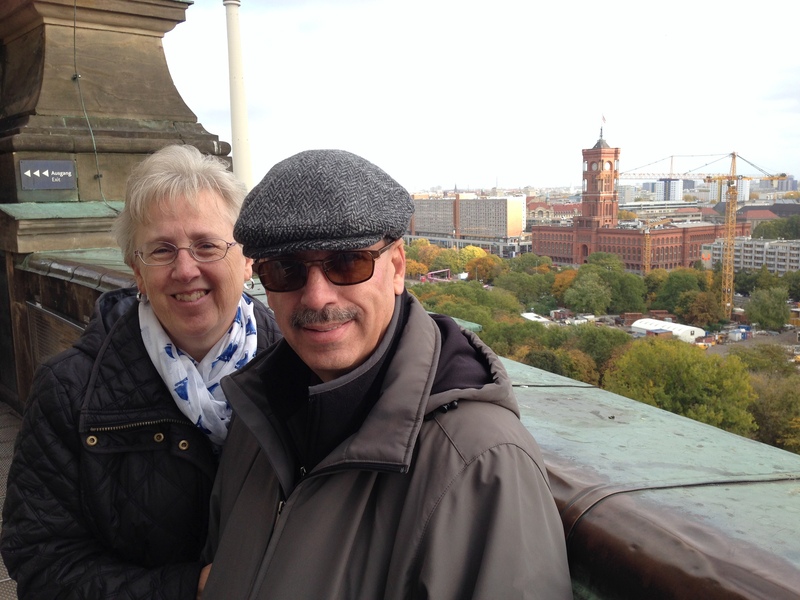 This is a view of the bridge over the Spree river that we were standing on to take the pictures with The Berliner Dom in the background in my earlier post. 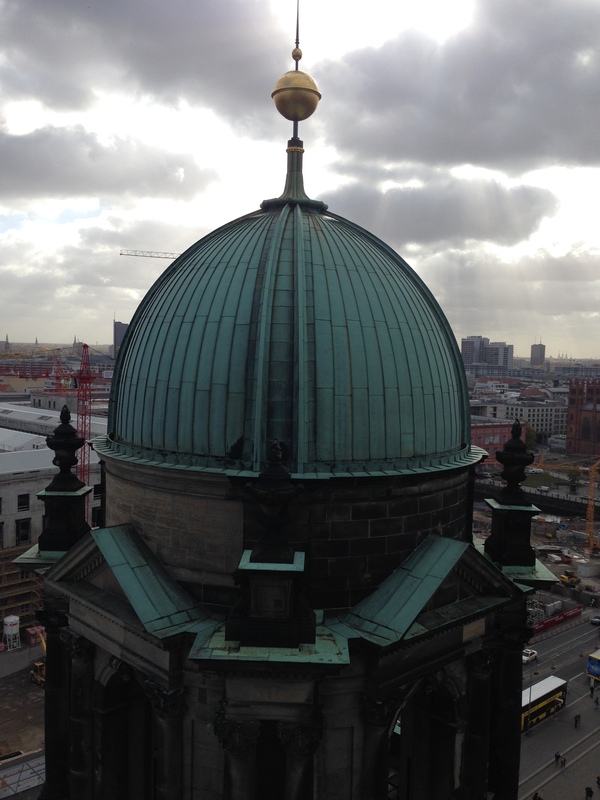 Besides looking down…being up here means you get close-up views of some of the smaller domes and statues that adorn the rooftops. 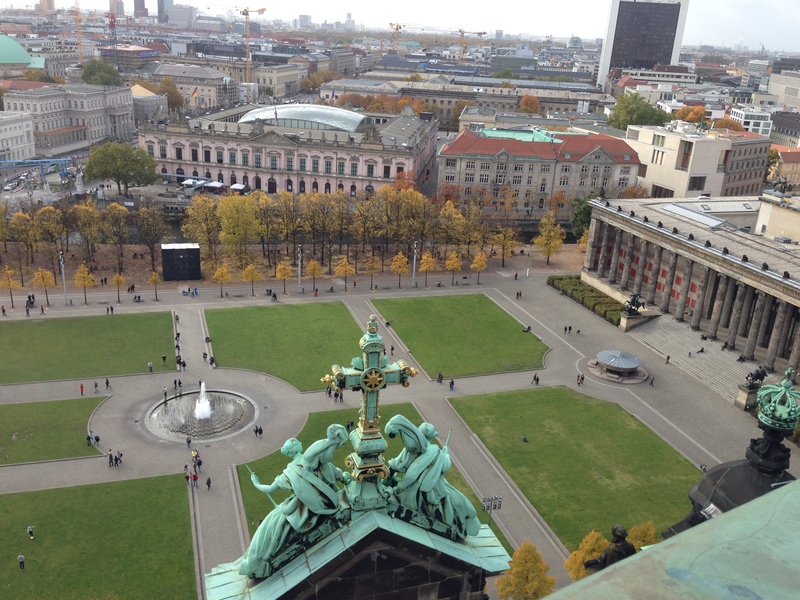 Walking around to the front…this is the view where the cathedral faces Lustgarten Park (Pleasure Garden). Walking further around, as usual David has a map… which he is using to figure out some of the more prominent buildings that can be seen, like the big red building behind us. 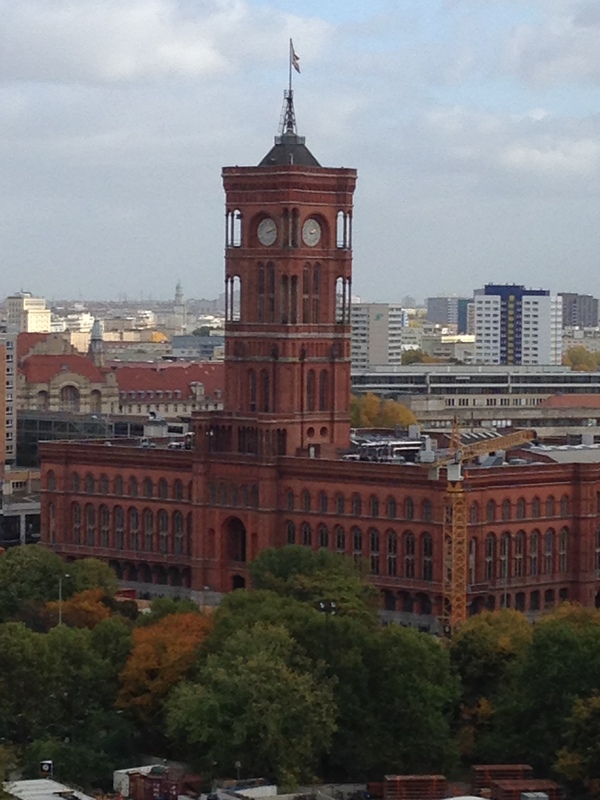 It is the Rotes Rathaus (or Red Town Hall). It was built between 1861 and 1867 and again, it was heavily damaged during World War II. It was used as the city hall for East Berlin in the 1950’s and after the re-unification it again became a Town Hall for the city of Berlin. 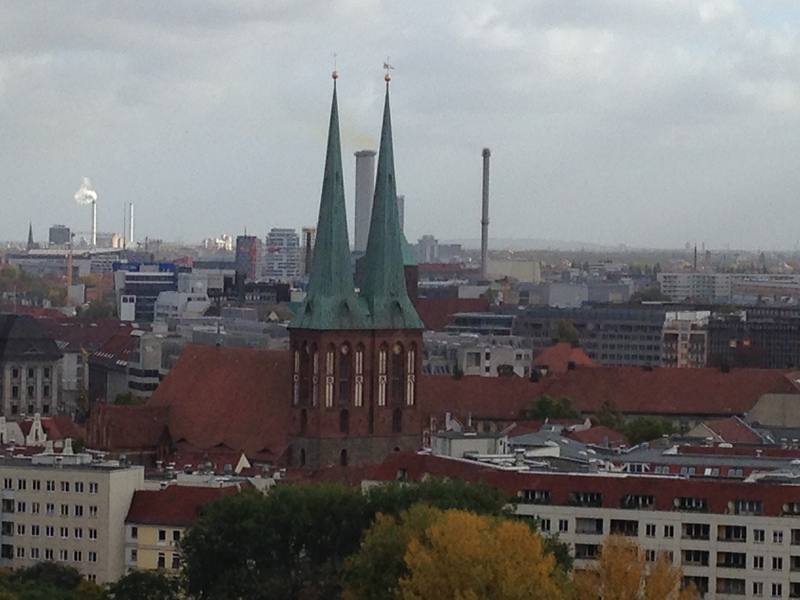 Below is a picture of St. Nicholas Church, the oldest church in Berlin being built between 1220 and 1230. It is no longer an active church, but has been turned into a museum. (more on that in another post) We walked all the way around and then headed back down…and by down I mean all the way down to the basement to see the The Hohenzollern Crypt….there are 94 entombments here dating from the 16th to 20th century and is one of the most significant royal burial places in Europe. During World War II, the crypt was damaged when the main dome collapsed after it was struck by a bomb, and then an ensuing fire. 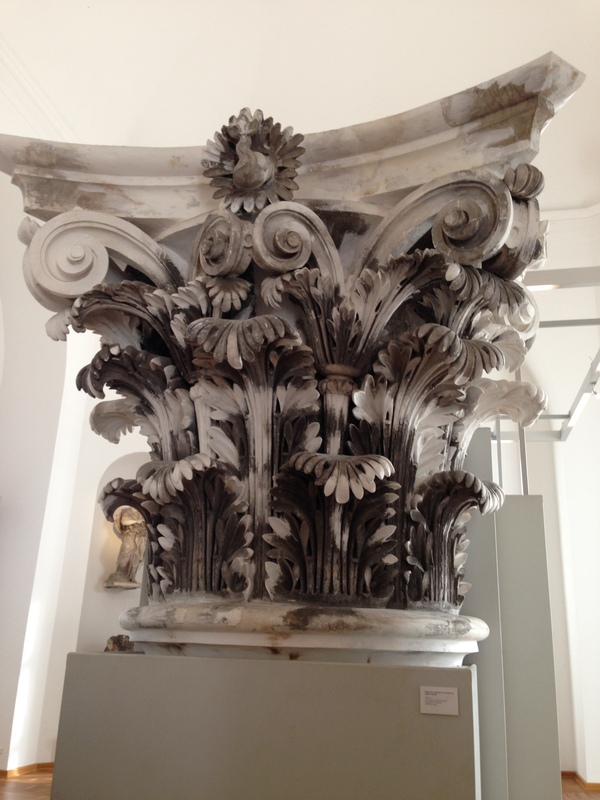 Some coffins were almost completely destroyed and the restoration work is still on-going. Let’s go back outside, there is still more to see. 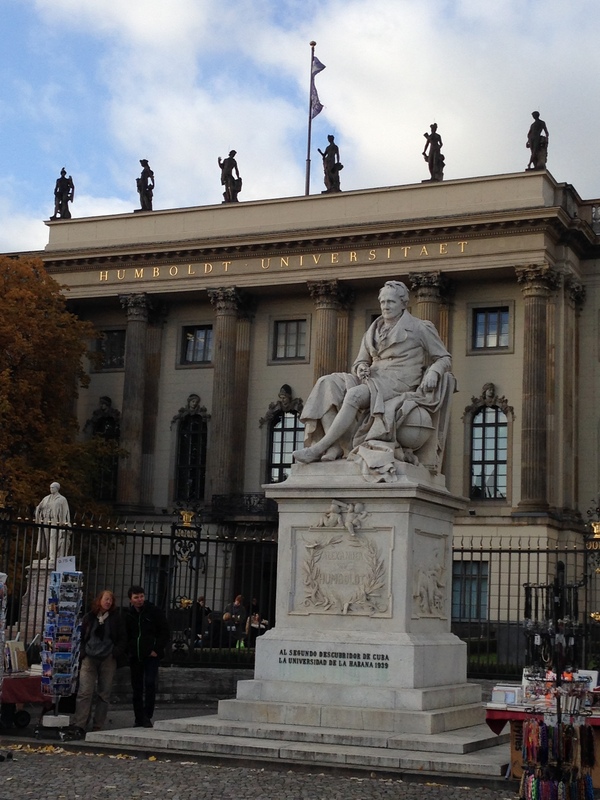 Just walking back to the hotel, we walked past Humboldt University. 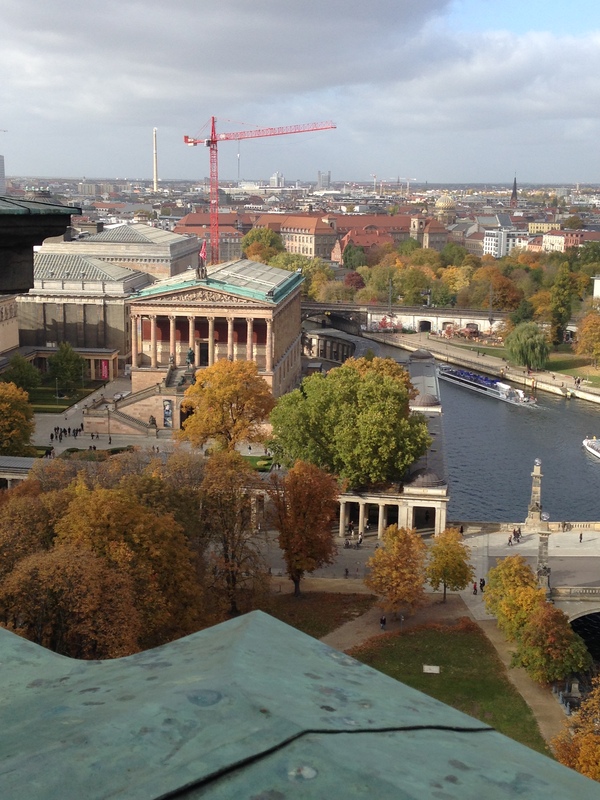 Among Berlin’s oldest universities, it was founded in 1810. 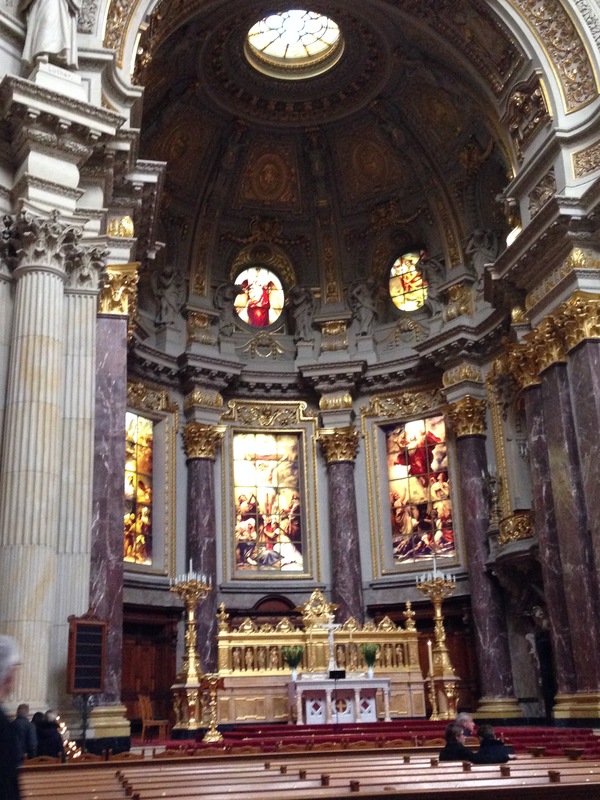 Also the French Cathedral (or Französischer Dom) and St. Hedwig’s Cathedral, a Roman Catholic Cathedral that was patterned after the Pantheon in Rome. 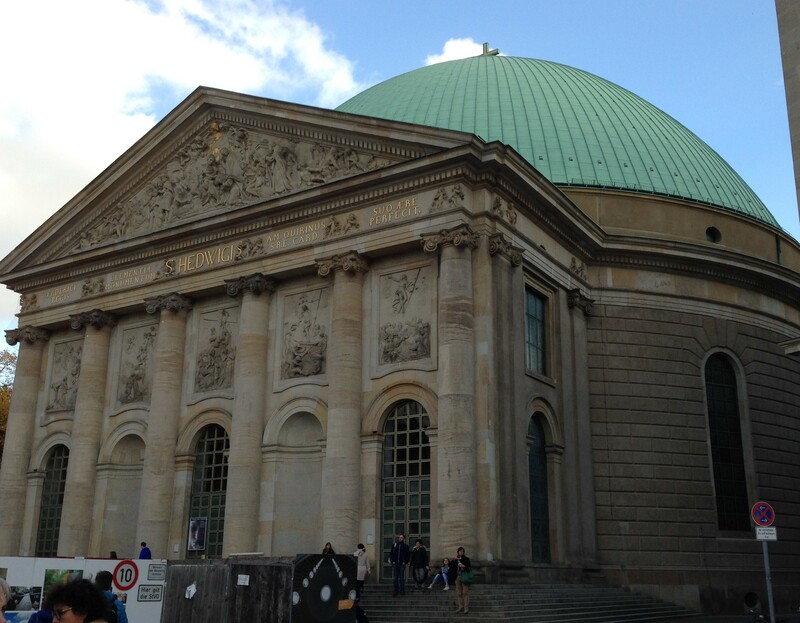 Construction started on this in 1747, but wasn’t opened until 1773 (26 years later!). And then there was this little guy….he was outside a store full of smaller littler guys just like him….a whole army of wooden soldiers.